Gingerbread. Sugar. The all-American chocolate chip. The holidays are coming and we’ve got cookies on our minds—making them, gifting them, receiving them—and, of course, eating them. We talked to some of our favorite cookie experts to get their secrets, holiday traditions, and morsels of cookie wisdom. 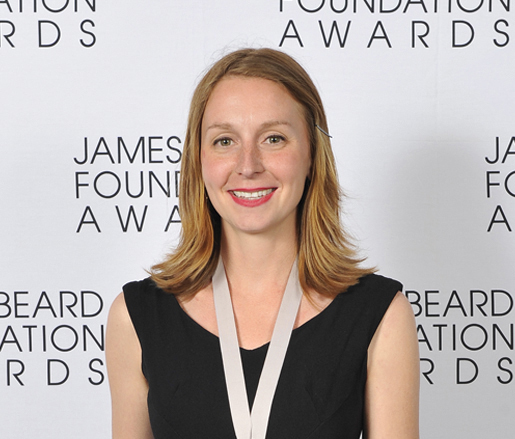 The acclaimed pastry chef at Momofuku Milk Bar and recipient of the 2012 JBF Rising Star Chef Award is known for her whimsical desserts, including her “compost cookies,” which include all manner of delicious junk, such as pretzels and potato chips. JBF: Where do you find inspiration for your cookie flavor combinations? CT: Inspiration comes from all over! My grandmother’s recipe box, my mother’s latest food-article clipping, the contents of my cupboard, a trip to the grocery store, a fancy meal in the city. Inspiration is all around—even for a cookie! JBF: What makes a great cookie? CT: Flavor, balance, point of view, and texture. No two cookies are alike! JBF: Do you have a favorite holiday cookie? CT: I am a real purist when it comes to holiday cookies. Though I’ll eat just about any holiday cookie, a cutout sugar cookie that’s barely frosted is my true north. Get the recipe for the Milk Bar’s corn flake–candy cane cookies. 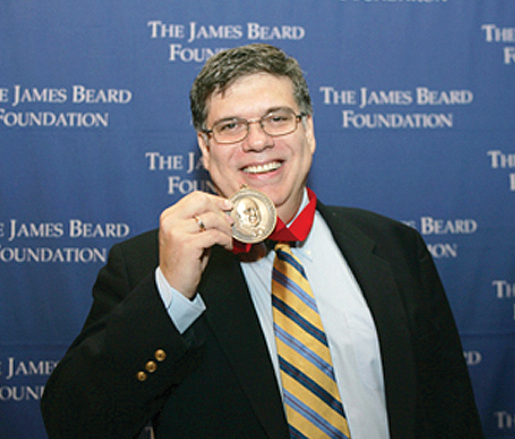 David Leite is the creator of the two-time JBF Award–winning website Leite’s Culinaria, a cookbook, and countless articles, perhaps the best-known of which was about chocolate chip cookies. JBF: What have you uncovered in your quest to find the perfect chocolate chip cookie? 1. Using bread flour and cake flour. The combination creates a higher protein level than all-purpose flour, giving it a bit more tooth. 2. Using couverture chocolate disks. The disks melt sublimely, and because they’re the size of quarters, they create strata of chocolate throughout the cookie. Plus, the quality of the disks is far superior to chocolate chips, which are compound chocolate. 3. Making larger cookies, meaning six inches in diameter. 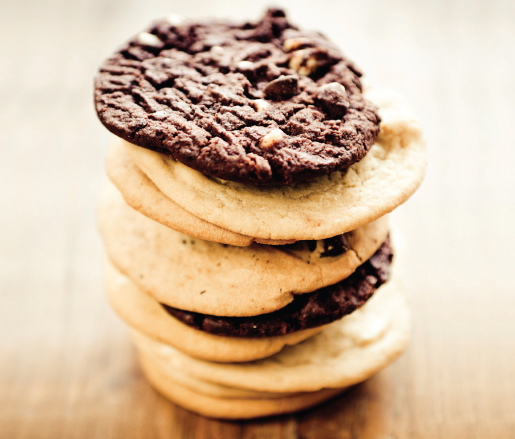 Larger cookies allow for more variation in texture and taste. Think of the cookie as a bull’s-eye. The outer ring is crunchy, almost candy-like, with a deep caramel flavor. The center of the cookie is a soft, buttery-rich circle. But it’s the middle ring where the magic happens. There’s a blending of textures—firm but still pliable—and flavor—what many have called a penuche taste that you just don’t get with smaller cookies. 4. Sprinkling the tops of the cookies with sea salt before baking adds just the right balance for the sweetness within. 5. Perhaps most important is letting the dough rest for 24 to 36 hours in the refrigerator. This allows the flour and sugar to hydrate, which creates a whole different cookie. We tested five batches of dough: right out of the stand mixer as well as after 6,12, 24, and 36 hours in the fridge. The aged dough was by far the winner. I gave the window of 24 to 36 hours because many people find it too hard to go the distance. Get David’s chocolate chip cookie recipe. 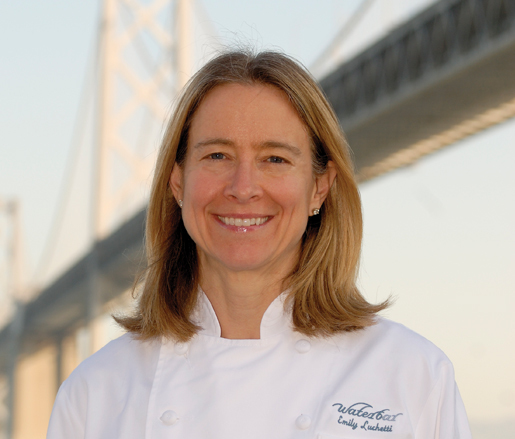 Emily Luchetti is known for her spectacular plated desserts at her restaurants Farallon and Waterbar in San Francisco, but this multiple JBF Award winner (and chair of our board of trustees) has a soft spot for cookies. JBF: Do you make cookies during the holidays? EL: Of course! It’s so fun to get together with family and decorate cookies. I bake gingerbread men and women, lay them out on the dining room table, and invite adults and kids over for a decorating party. I put out red, green, and white frosting, sprinkles, gold and silver dragées, cinnamon hots, and chocolate chips. Everyone gets to take home what they decorate. Get Emily Luchetti’s recipe for coconut macaroons. At Mindy’s HotChocolate in Chicago, 2012 JBF Outstanding Pastry Chef award winner Mindy Segal’s love of cookies is on full display. 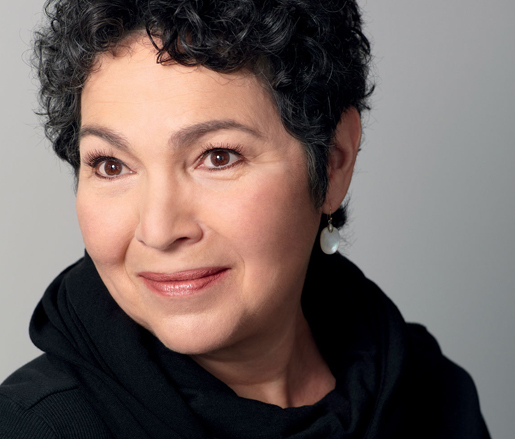 JBF: Is it true that you wheel around a dim sum cart of cookies at Mindy’s HotChocolate? MS: Yes, we only do it periodically now because the restaurant is small, but the amount of cookies I do is unreal—about 12 to 15 types every day. Right now they’re all in a vintage display case. It’s really cool. JBF: What are a few cookies that we might find on display? MS: Bacon chocolate chip, oatmeal scotchies with hulled oatmeal from a local farm, Folgers crystals shortbread, and, for the holidays, sandwich cookies like pistachio shortbread filled with raspberry or cranberry preserves, or chocolate cookies filled with pepper-mint frosting, covered with white chocolate, and rolled in candy cane pieces. JBF: What’s your favorite kind of cookie? MS: Rugelach. We make homemade preserves for the fillings, like preserved blueberry with orange blossom, raspberry lambic preserves, apple butter, and one with a hot-fudge filling that beads out and forms a candy on the outside—it’s super funky. Get Mindy Segal’s recipe for pistachio shortbread with raspberry preserves. The award-winning author of numerous cookbooks, including Chewy Gooey Crispy Crunchy Melt-in-Your-Mouth Cookies, Cookies and Brownies, and Chocolate Holidays, Alice Medrich is often referred to as the First Lady of Chocolate. JBF: What do you look for in a cookie? 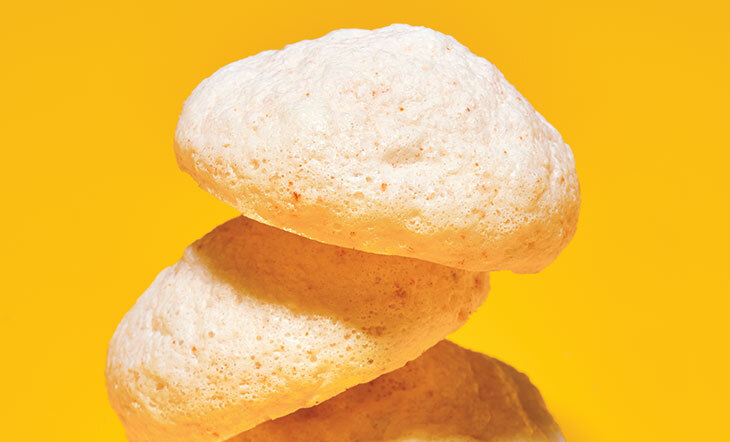 AM: Of course, I want a great cookie to have a big, bold flavor, not just lots of sugar and fat. But texture adds the extra excitement, the 3-D, the high def, the noise, the fun, and the craveability to great cookies. I loved organizing my cookie book by texture, encouraging readers to consider the sensual side of cookies—how a cookie feels on the tongue and between the teeth as it dissolves and releases flavor. 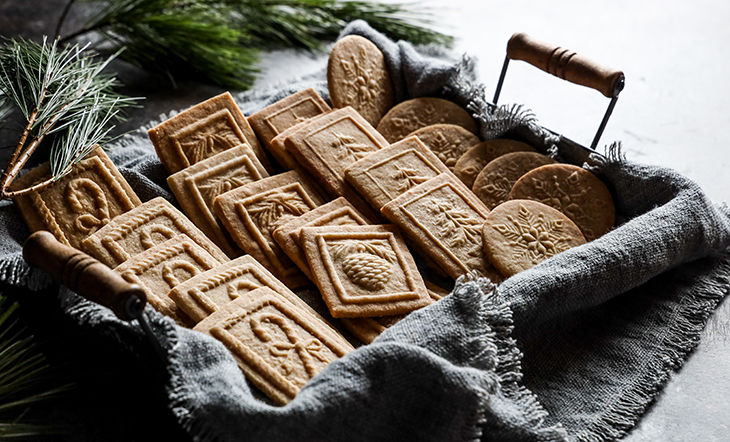 JBF: Why do you think cookies have become emblematic of the holidays? AM: Eating cookies is tasting memory. How many of us made cookies with our moms or grandmas during the holidays when we were kids? Sweet tastes and aromas and boisterous times in the kitchen make powerful associations. Cookies were shared and swapped, brought to teachers, hung on trees, and nibbled in secret. Stained recipes with handwritten marginalia were unearthed for the sweet yearly ritual. Cookie-making is both work and play, a source of family stories, and a lovely way of giving and receiving. JBF: What is the ultimate cookie? AM: Sometimes it’s the one you’re with. Honestly, it’s the ongoing quest to find the ultimate cookie that gives us the most pleasure. 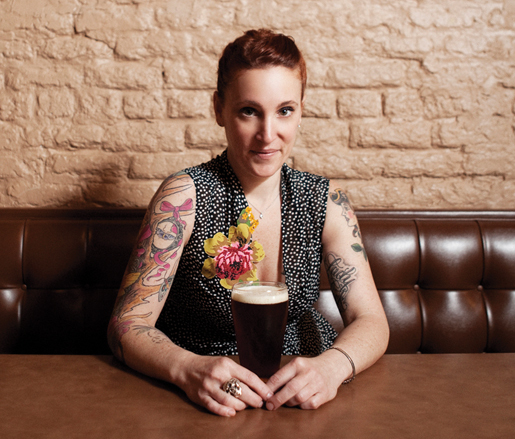 Get Alice Medrich’s My Ginger Cookies recipe.